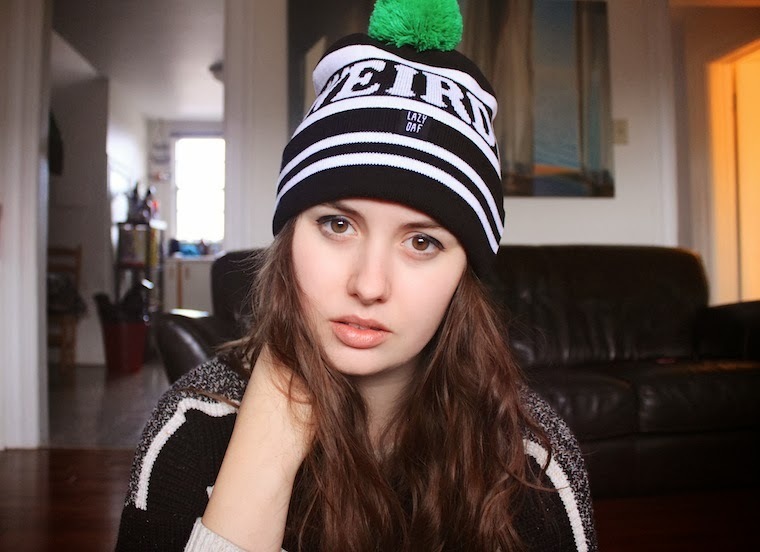 The two toques I ordered from ASOS came in, and I cannot be more stoked about them! I got one that says 'Weirdo' by Lazy Oaf, and another knit one with a faux fur pompom. They are both unique and fun, and I really think they can jazz up a winter outfit. Let me tell you my personal opinion about the whole 'beanie' and 'toque' discussion. I consider it that if one of these hats doesn't have a big pompom on it, then it's a beanie. 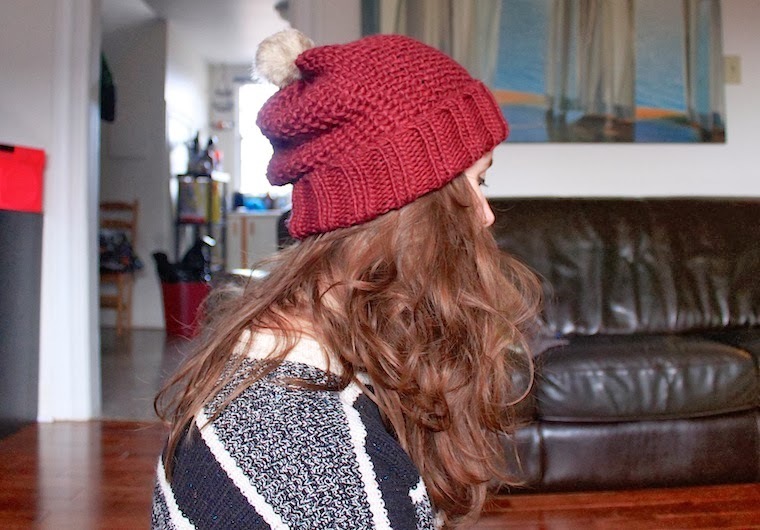 When it does have a pompom, I consider it a toque...so there. Cute! I really like the red slouchy one. Do you often get charged customs ordering from ASOS?